This is one of the new products from Althea that they come out in their Petal series. The moment I get my hands on this I know I'm gonna love it. The packaging itself already show love to me. Hehehee.. It is in a compact plastic bottle with pink lid and white bottle. 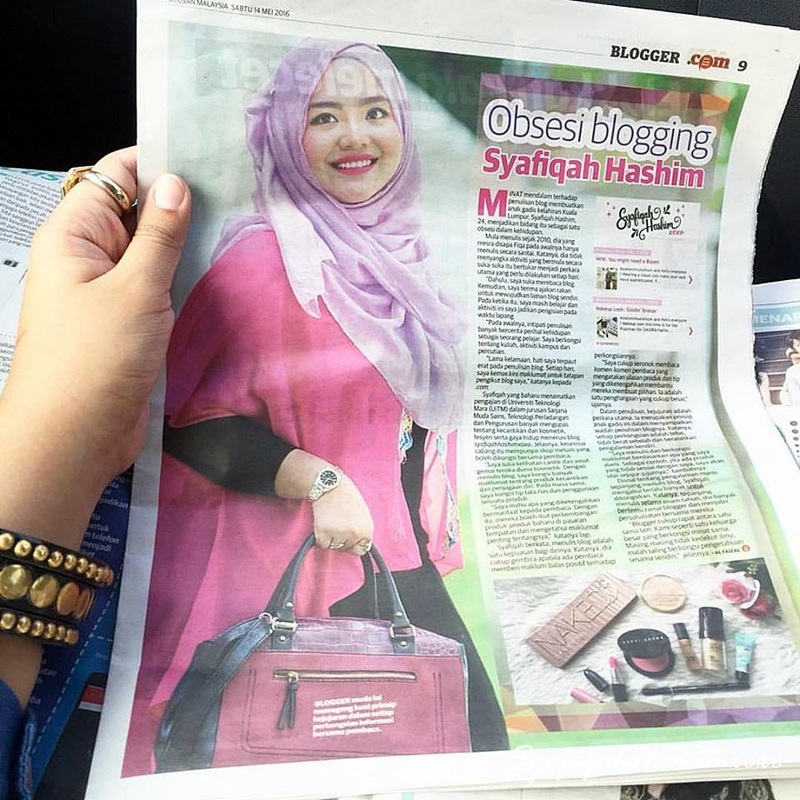 I love this type of packaging because I can bring along with me in my handbag and I can apply it whenever I need it right away (travel-friendly). Not only give protection but also keep your skin moisture and sebum control. 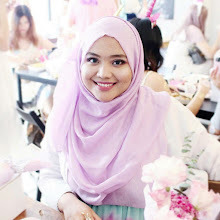 Althea Petal Velvet Sunaway suitable for all skin type. This is how the tip applicator looks like. You can control the amount of product so you don't get too much product while using it. 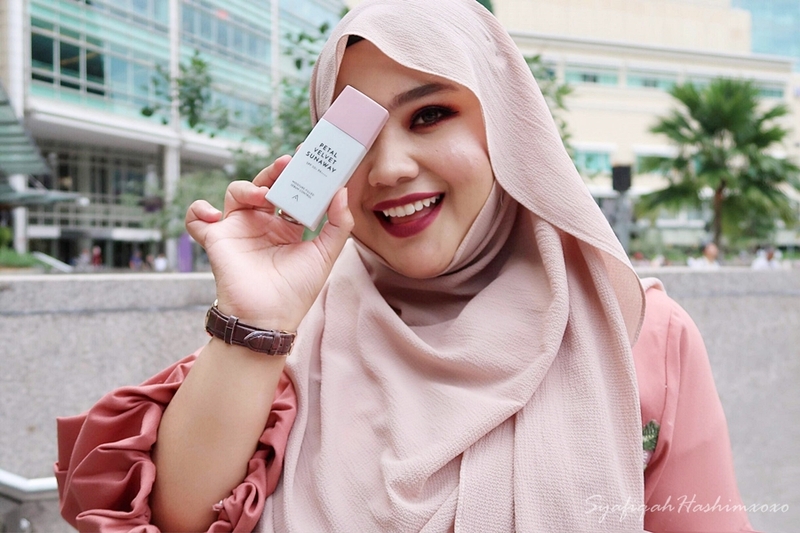 The texture of Althea Petal velvet Sunaway is lightweight because when I apply it I don't feel heavy on my skin and it seems invisible. Although you see in the picture it in in white color but once you gently spread it all over the face, it will turns to translucent. 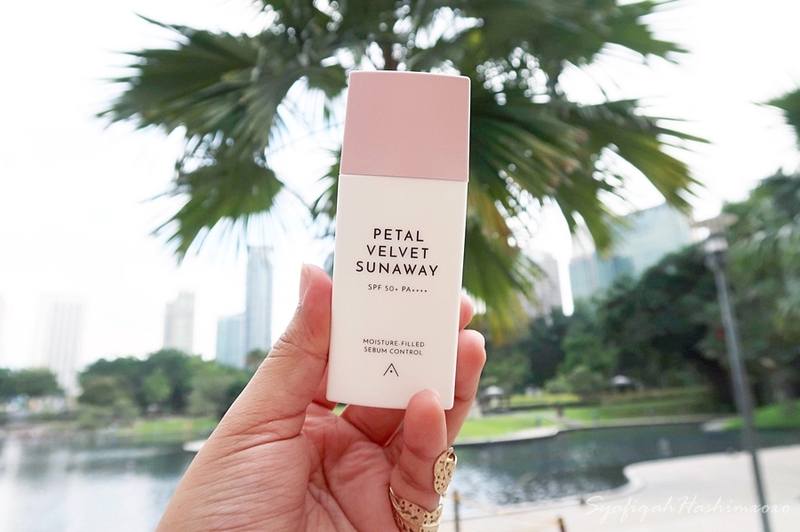 I also notice that Althea Petal Velvet Sunaway formulated with hyaluronic acid and Damask rose extracts to ensure your skin stay fresh and hydrated throughout the day. No wonder my skin feels smoother. I don't feel any stickiness feeling or white cast effect with this sunblock because it absorb pretty well on my skin. I don't feel like I'm wearing any sunblock! I love the texture of Althea Petal Velvet Sunaway because it is lightweight and easy to blend. I feel like I'm having nothing on my skin. It absorbs pretty well and turns translucent once blended to the skin. No stickiness feeling using this and the scent are good. It smell like rose petal. So far it is gentle on my skin and does not causing any irritation or breakout to my sensitive skin. 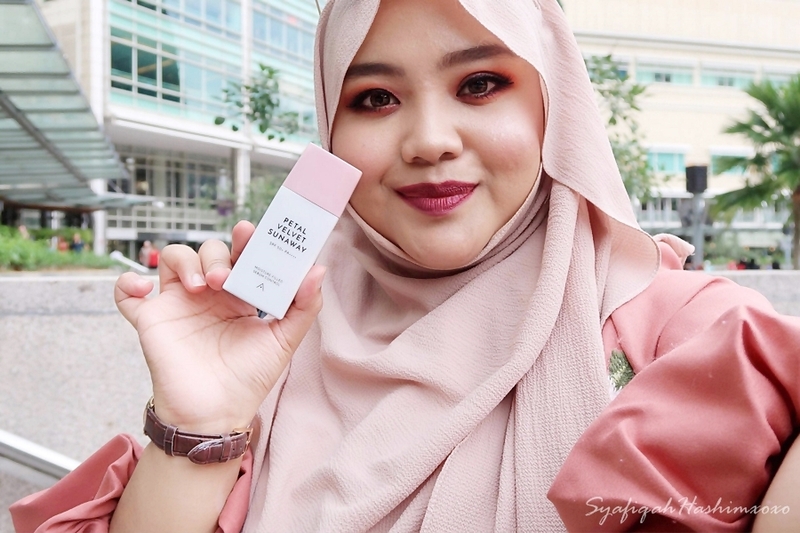 The SPF50+ and PA++++ is good enough for my skin but if I need extra protection I will re-apply again especially when I know I'm going to be going whole day outdoor activity. I wear makeup pretty much every time I'm going out and this sunblock somehow act like a good primer base for my makeup. It keeps my skin smooth and soft looking. Overall, I'm lovin' this sunblock. Worth to try! with the price that pretty reasonable for sunblock with 55ml in it. The cute travel-friendly packaging definitely a plus for me. I recommend this for all of your regardless your gender! Hehehee... Last but not least! You must always always always remember to apply sunblock every time you're going out. I hope you find my review helpful!